Republican Party's Platform Committee agrees to language that omits references to a “two-state solution” to solve Israeli-PA conflict. The Republican Party's Platform Committee on Tuesday unanimously agreed to language on Israel that omits references to a “two-state solution” to solve the Israeli-Palestinian conflict, JTA reports. The committee meeting in Cleveland voted on the language approved Monday by its national security subcommittee. A voice vote carried only “ayes” and no votes against, earning the sponsor of the language, Alan Clemmons, a representative in the South Carolina State House, a standing ovation from other delegates. The two-state concept has long been a pillar of both Democratic and Republican policy in the region, and a stated policy of Israeli Prime Minister Binyamin Netanyahu, although not of his government. In introducing the language, Clemmons emphasized that it does not preclude U.S. support for a two-state outcome should Israel choose that path. Other language on Israel, as reported over the weekend by CNN, “reject(s) the false notion that Israel is an occupier” and describes Jerusalem as Israel’s capital and “indivisible,” both changes from the 2012 platform. The previous report on the platform did include support for a two-state solution, though it was noted that the language could change several times before the start of the Republican National Convention. 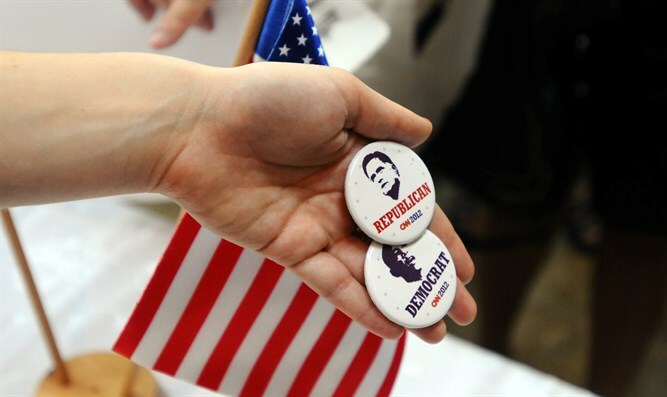 AIPAC welcomed the language in both the Democratic and Republican platforms. “We appreciate that both parties’ platforms have now included strong pro-Israel language which is reflective of the broad bipartisan consensus in support of the Jewish state,” its spokesman, Marshall Wittmann, told JTA in an email. The Democrats also included pro-Israel language in their platform, approved over the weekend in Orlando, after delegates loyal to nominee Hillary Clinton rebuffed bids by delegates backing her challenger, Bernie Sanders, to include language critical of Israel for its “occupation” of Judea and Samaria. However, the Democratic platform retained the party’s commitment to the two-state solution.